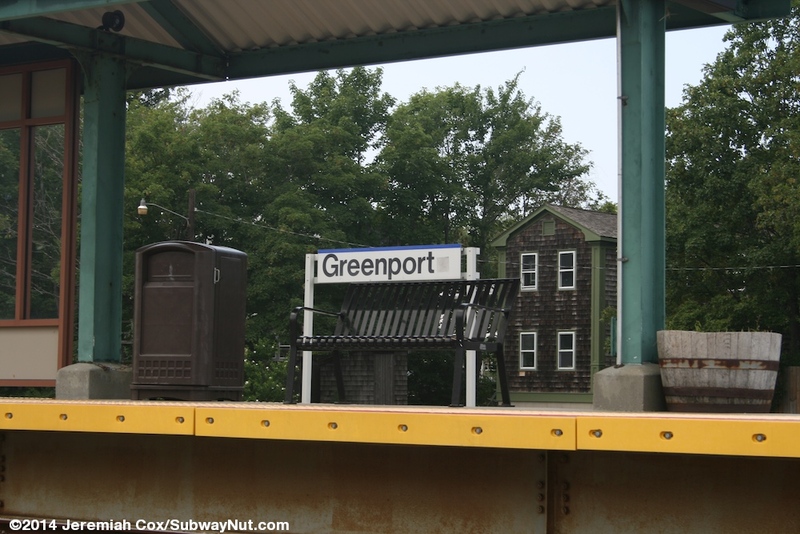 Greenport is the end of the Long Island Rail Road's Main Line. A place the railroad reached in July 1844. 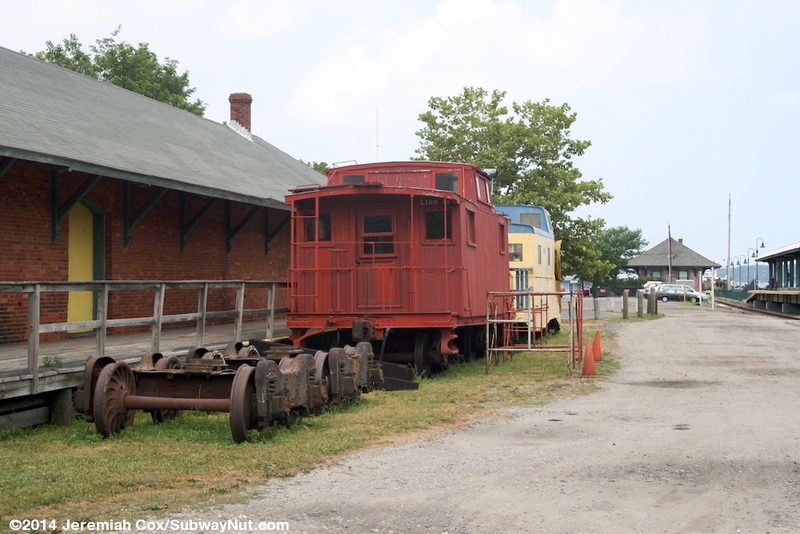 Originally a steamship connected with the trains to Stonington, Connecticut for connecting train service to Boston. 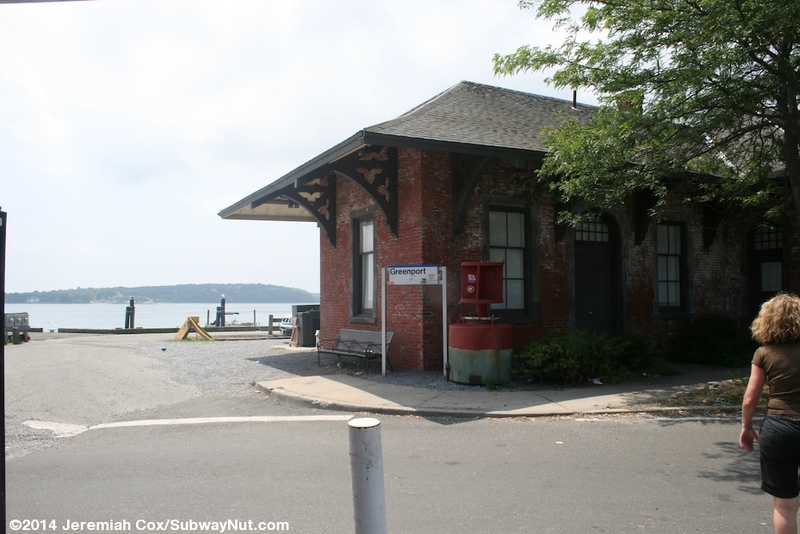 This was originally a transfer point on the fastest route to Boston, because of Long Island's flat interior with no streams to cross, form here passengers changed for steamships across the Long Island Sound to Stonington, Connecticut. A railroad on the otherside of the sound through Connecticut's hilly coast with numerous required river crossings was seen as impenetrable by railroad. 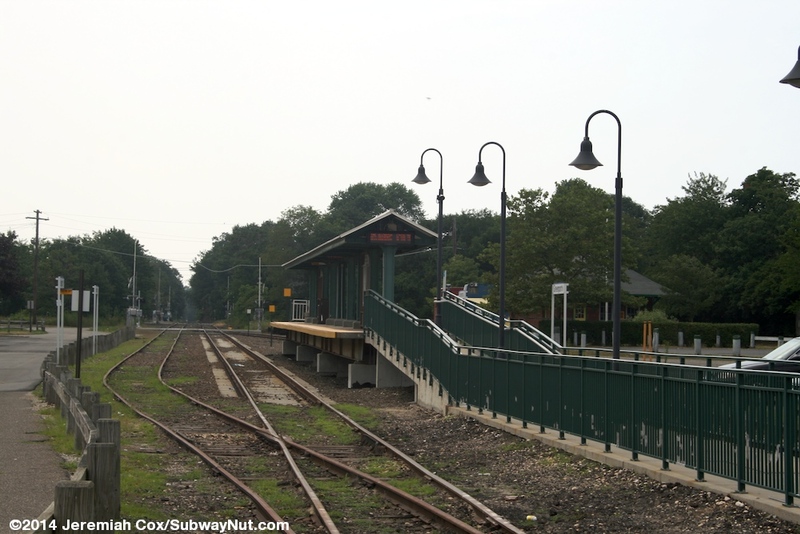 Greenport's status as the fastest route to Boston was short lived, with a direct all-rail route to Boston finished in December 1848 (via the interior of Connecticut and Massachusetts) it did take until 1889 to finish today's shore line route when the last missing bridge, over the Thames River in New London opened. 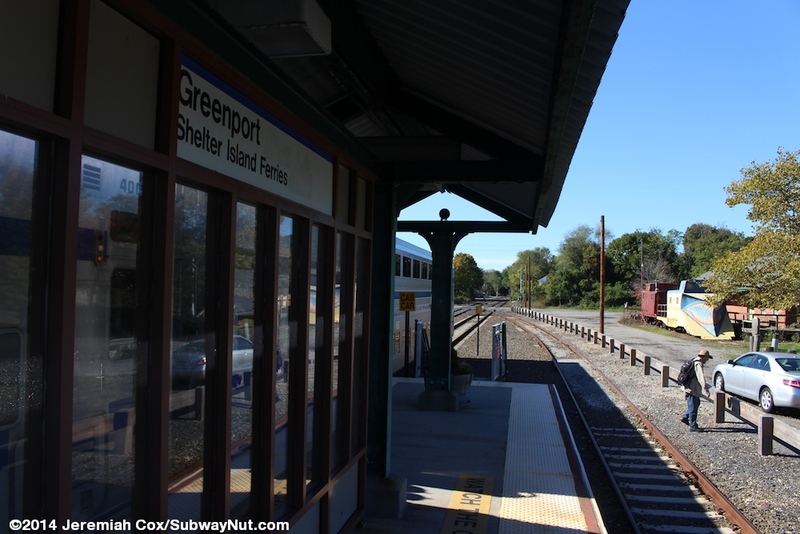 Since then Greenport has simply been the end of the LIRR main line, providing access to today's bustling town, connecting ferry service to Shelter Island (leaving from just beyond the station) and other areas of the North Fork. 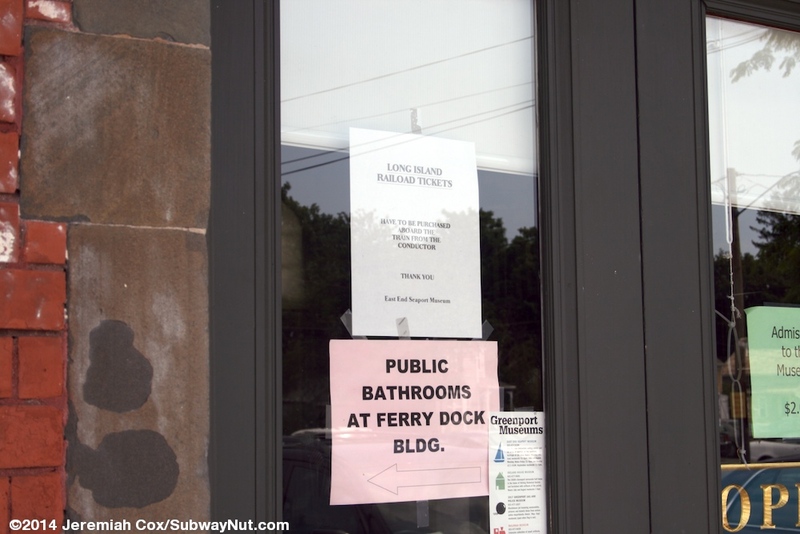 Ferry service to New London remains although it leaves from Orient Point 9 miles from Greenport, never reached by railroad. 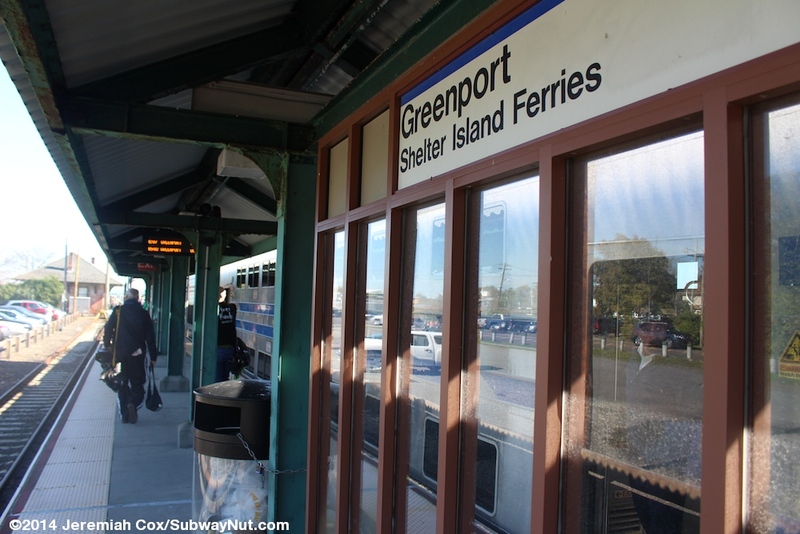 Bus service is available on the S92 (that parallels the Greenport Line all the way from Riverhead). 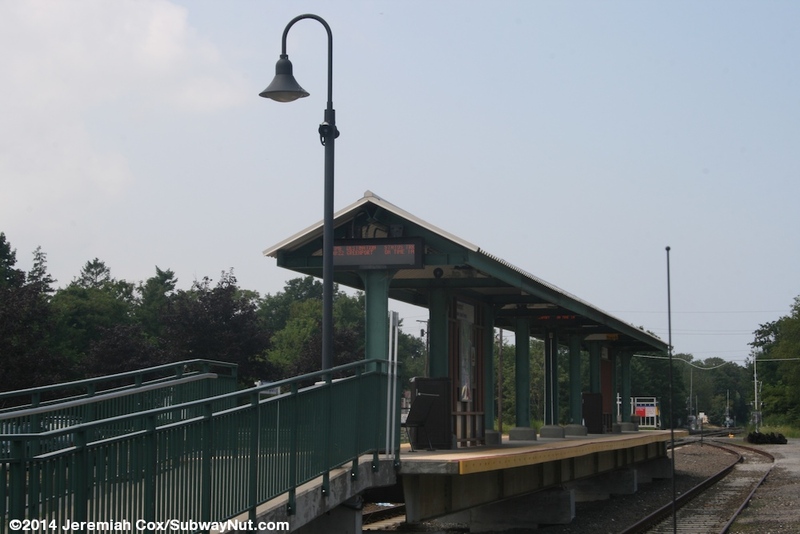 Today train service is extremely infrequent consisting of a single two C3 cars and a diesel engine scoot train (just one trainset) that runs to and from Ronkonkoma with three trains per weekday from Greenport, only two trains to Greenport (the train has a middle of the night deadhead) and two round-trips per weekend. Since 2010 weekend service on the branch is only seasonal, operating only from early May to late November. 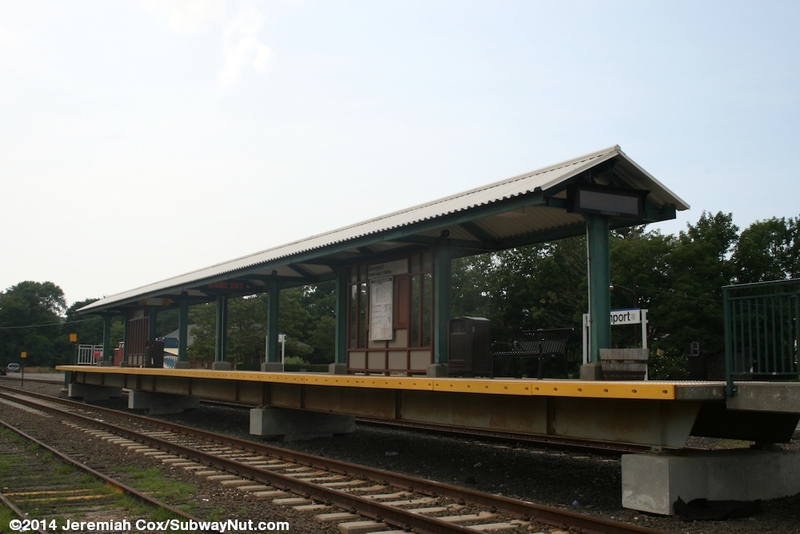 The station has a quite unusual design partially because the small rail yard that surrounds the station now has just 3 sidings, including the two tracks that platform and has slowly been overtaken by parking lots and grass. 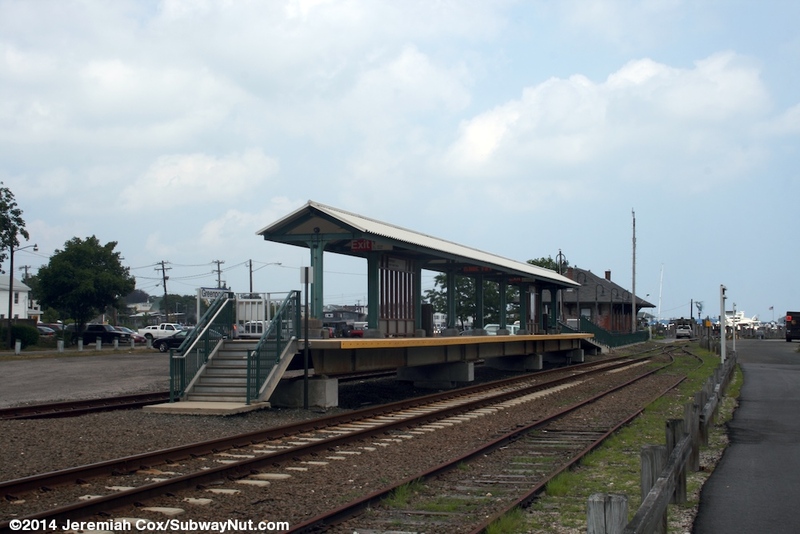 Beyond the end of the platforms, along Peaconic Bay is a historic 1894 station house. This building is made of brick and currently houses East End Seaport Maritime Museum. 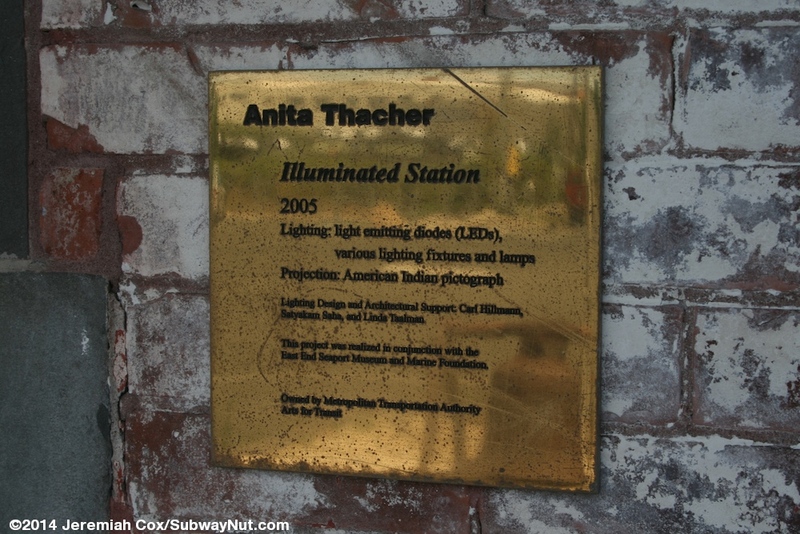 It has a nighttime LED and projection Arts For Transit display called Illumination Station by Anita Thacher (perhaps one day I'll be in Greenport at night). 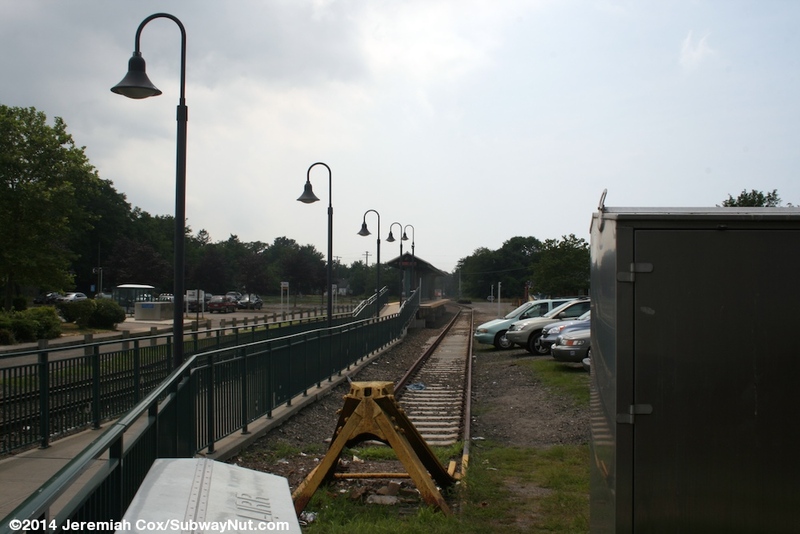 Along the streetside of the depot are parking spaces, on the opposite side is a former platform and the middle track that continues towards a bumper block nearly in the water along the wharf by the station. Just beyond the station house is the bumper block of the northern track. 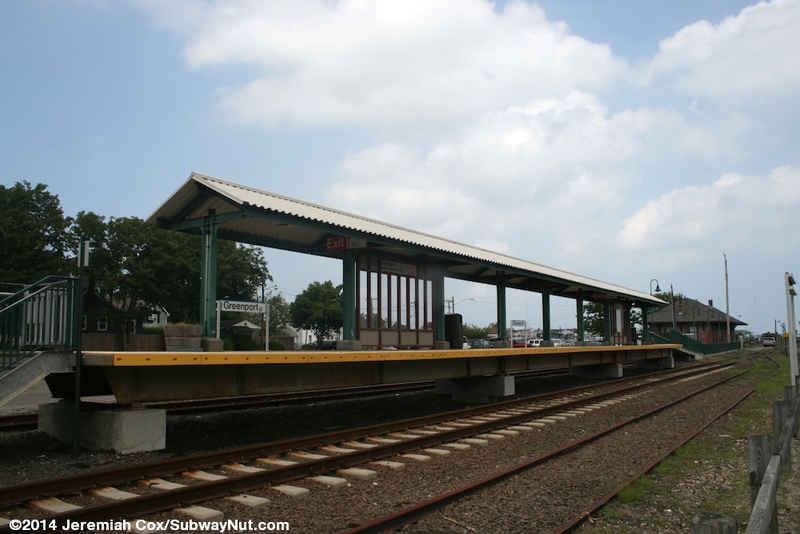 To board trains a modern walkway with blue green railings begins between the two tracks and soon becomes a ramp up to a narrow island platform that is covered by a canopy held up by wide columns with a simple gabled roof. An emergency staircase is at the opposite end of the platform and trespassers definitely use this to get off trains faster. This new modern high-level platform was built for the new C3 BiLevel cars in 1999 to 2000. Surrounding the station are parking lots and the remains of the former railroad yard around the station. 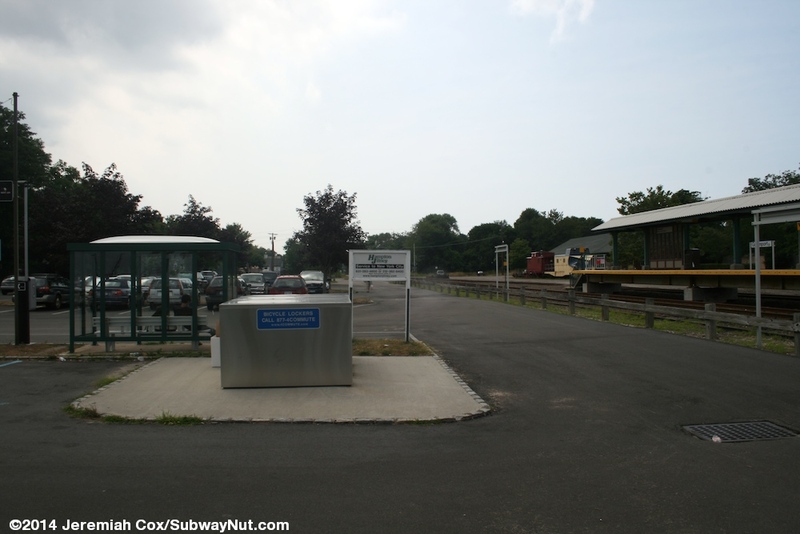 Just south of the platform is a small parking lot with a bus shelter in the middle. 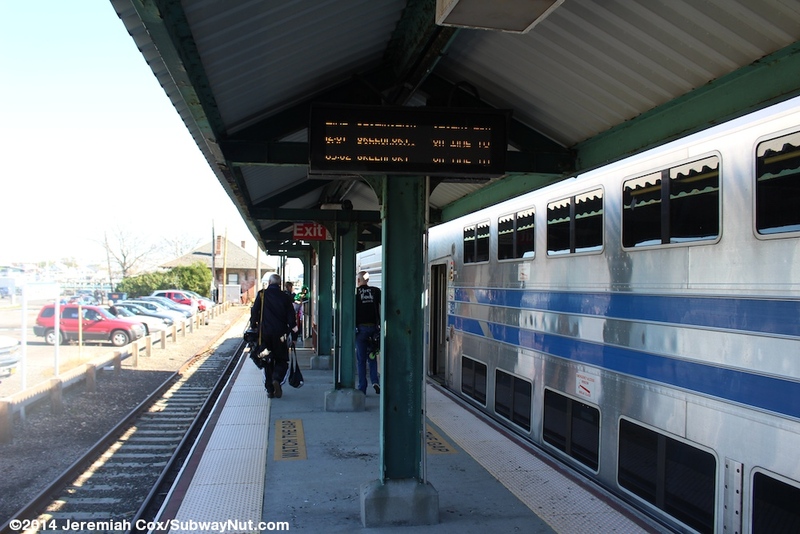 It is used by Hampton Jitney (formerly Sunrise Express) as their Greenpoint Stop providing much more frequent service motorcoach service to and from New York City, costing nearly exactly the same (for adults) as the Long Island Rail Road. 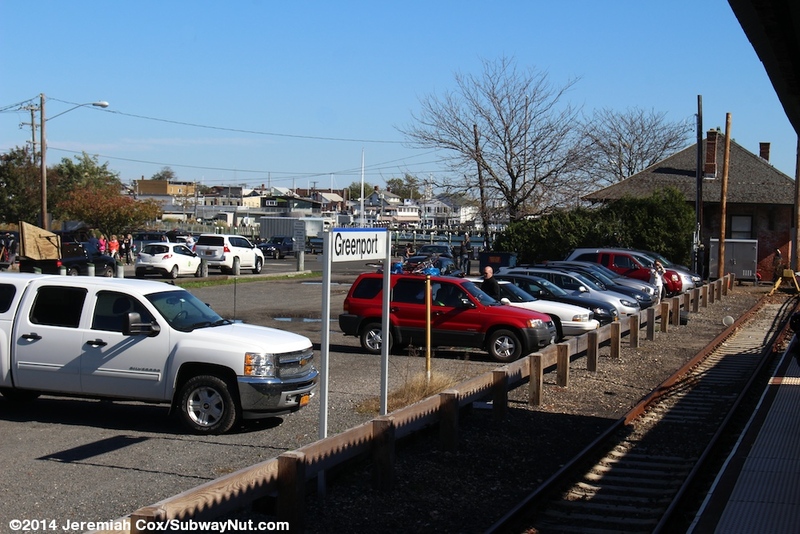 Beyond this parking lot, south of the station, near the first grade crossing on the Main Line, is the overgrown and concrete remains of the Greenport turntable. 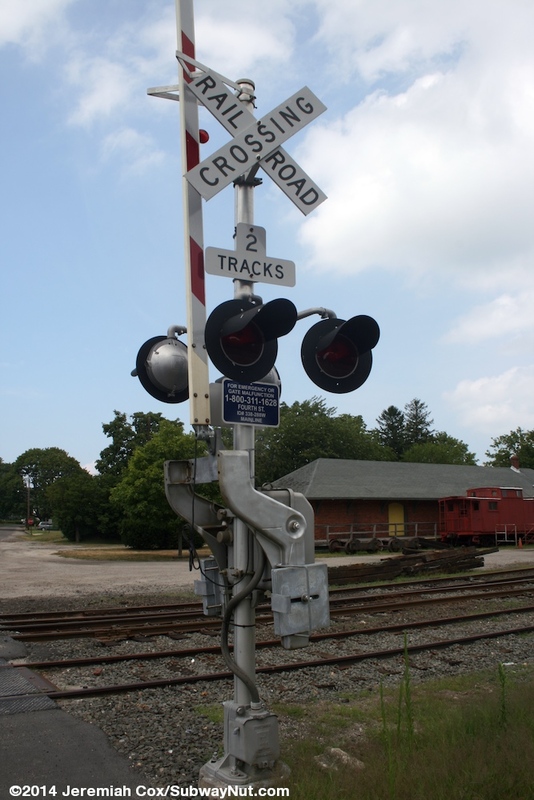 This turntable has all tracks removed, and is separated from the current tracks by a driveway into the station's parking lot. The turntable still has its cast iron turning section and a circular concrete ring in the pit where the turntable turned. 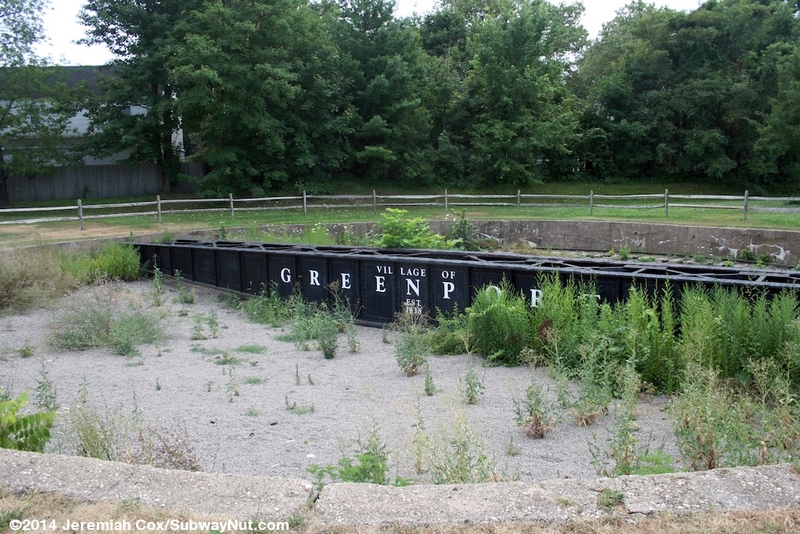 The cast iron turning section is black with white painted text on it saying "Village of Greenport, established 1838" and "Safety First, Twin Forks Chapter - NRHS" on the opposite side. On the north side of the tracks across from here is the former brick freight house surrounded by a wooden porch. 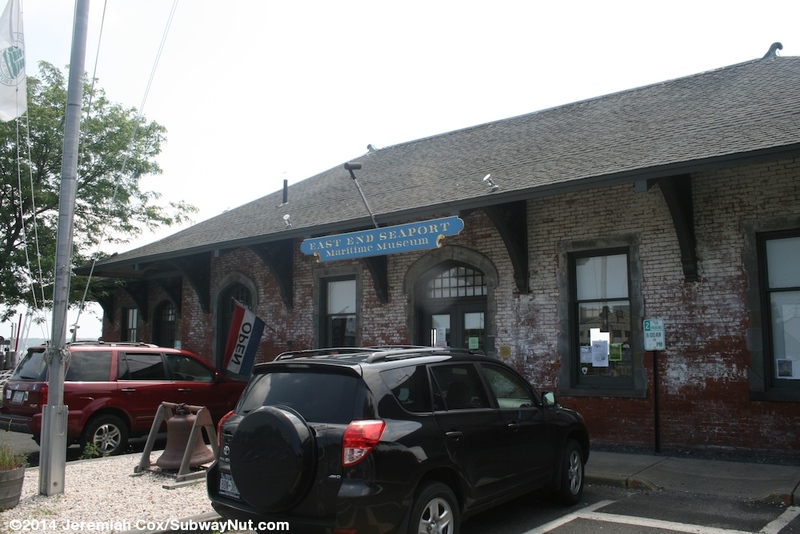 Inside is the Greenport Branch of the Railroad Museum of Long Island (their main museum location surrounds the Riverhead Train Station). 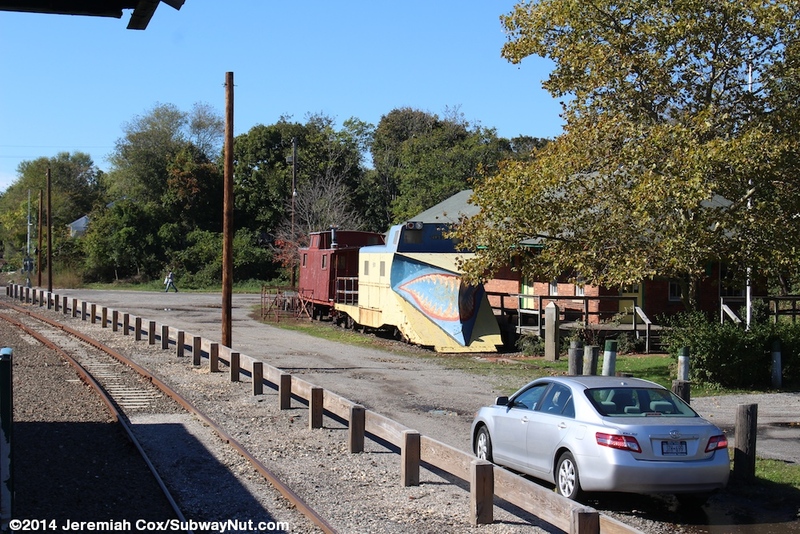 Outside, on a siding with no connections anymore to tracks is a paint-peeling caboose and a former rotary snowplow with jaws painted on it, W83, Jaws III.